1) F-4D 66-7765, 906TFG, WPAFB Ohio. Decals include both types of nose art and flags to depict the jet as it appeared at the London Air Show in June 1988 or Dayton Air Show in July 1988. 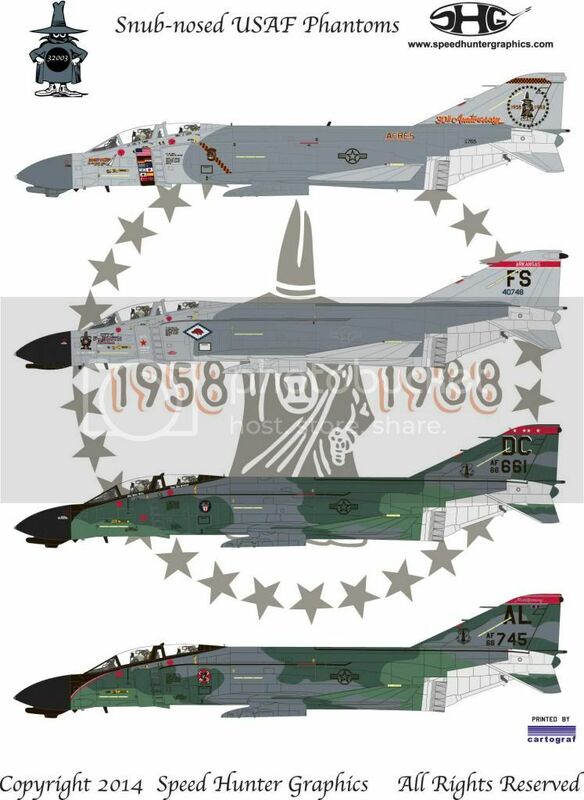 2) F-4C 64-0748, 188TFG, Arkansas ANG, 1989. Don Spering nose art. MiG killer. Hill Gray I camo. 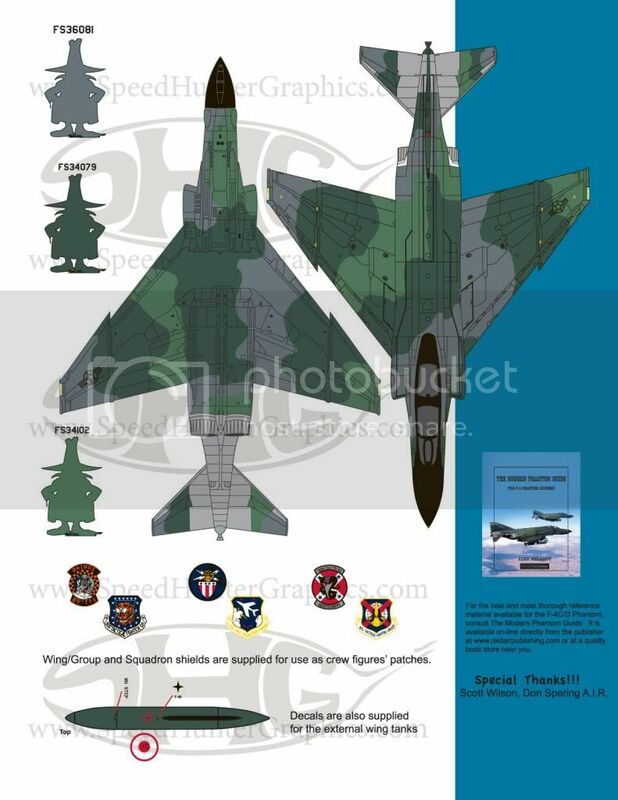 3) F-4D 66-7661, 113TFG DC ANG, 1987. MiG killer. Euro 1 camo. 3) F-4D 64-0973, 119FIG, North Dakota ANG, 1981. Royal Canadian Air Force 'zap' over USAF insignia. 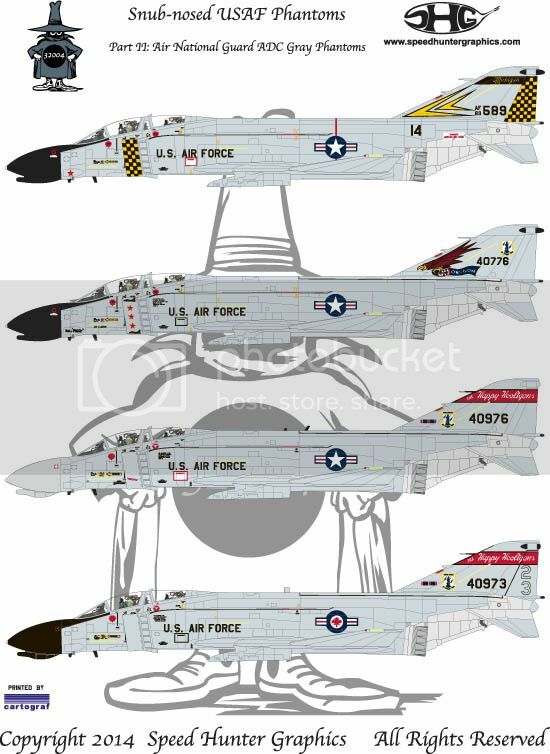 4) F-4D 64-0976, 119FIG, North Dakota ANG, 1989. "Abigail" artwork. Very sharp.......I am in for Dixie Demolition for sure! Put me down for 1 each. Will order them for sure! oooooh, I will be following this decal release very closely! 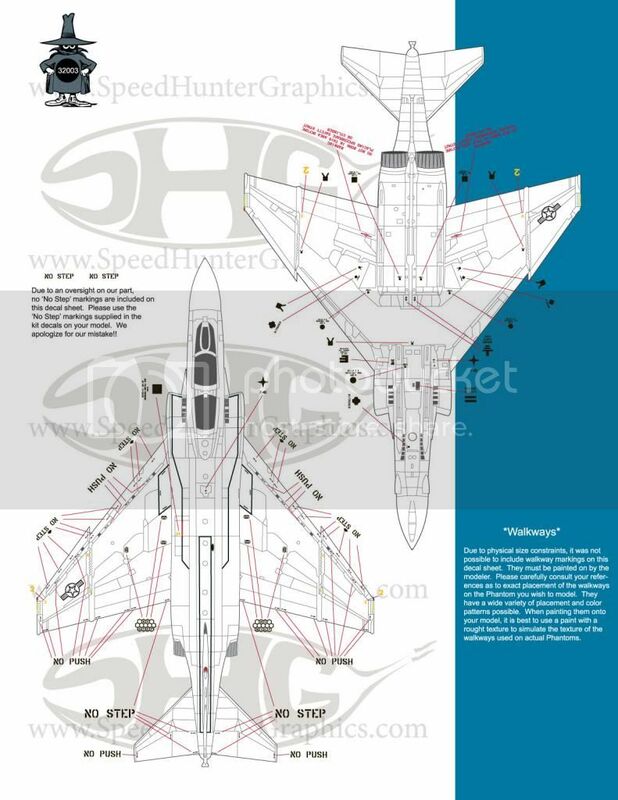 I thought hard about including some of the William Tell jets that CE did, but I chose to cover new ground. Now I'm kicking myself, thinking I should have added an option or two. I have walkarounds of several jets. Maybe in the future I'll add them to a sheet. Jake, there were many other birds with art work besides those that Ce did from the Mi ANG. 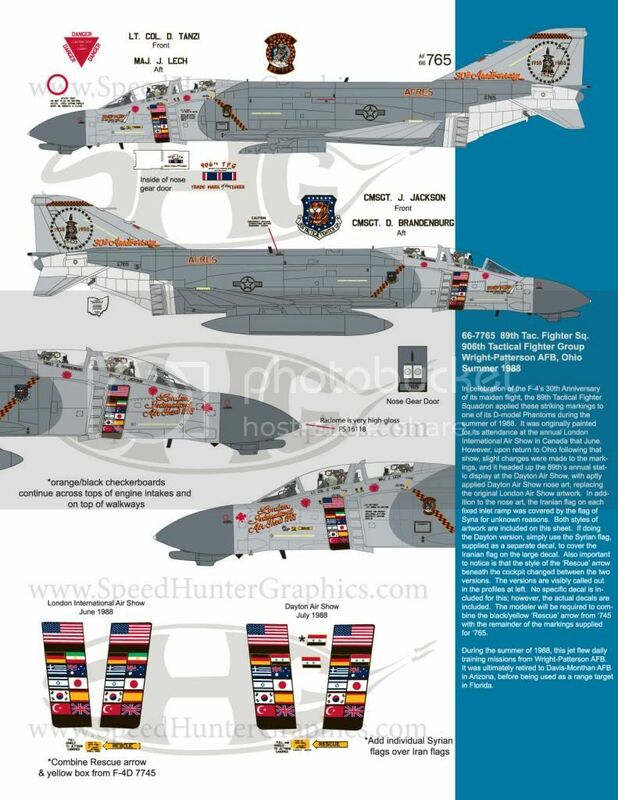 63-7442 â€œShadow Demonâ€ was done in 2 different styles as shown on page 52 of Kinzey's F-4C Color & Markings. It is also the Bird shown on the cover Art work for that book. 589 is getting close to decal time, so glad to here that they are headed our way soon. Will have an up date tonight or tomorrow. 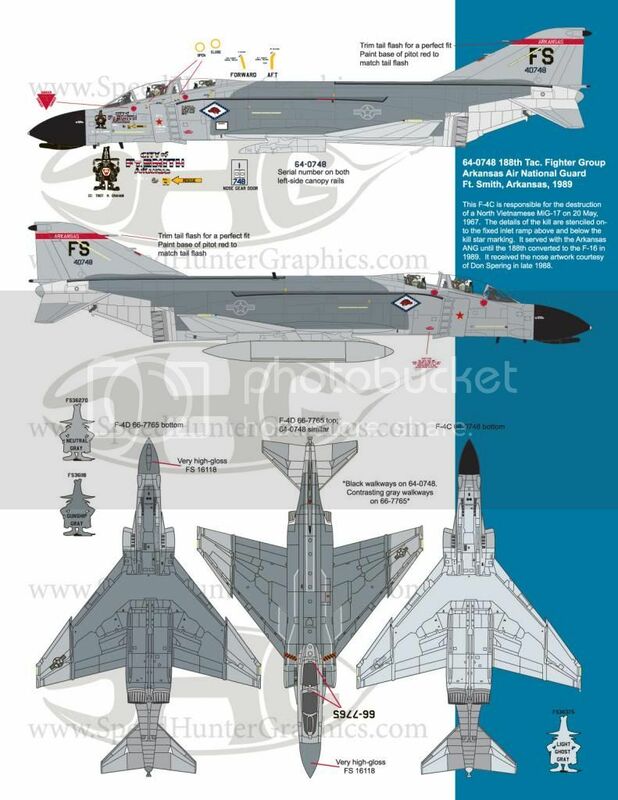 Any plans to do F-4E's in 1/32? Bataan would be a great plane to do. 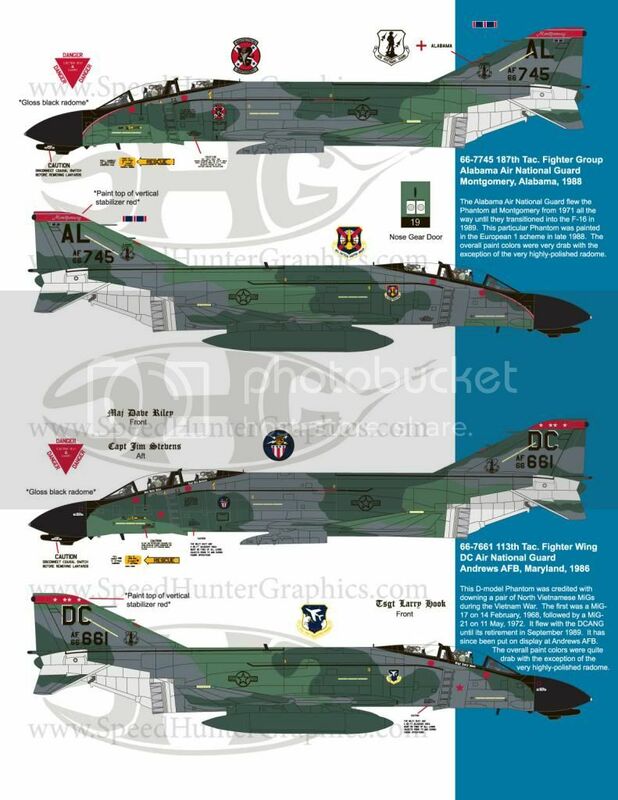 In the near future, there will be Es and Gs in 1/32, as well as some of the RF-4Cs from my 1/48 RF-4C sheet. There are so many options for Phantoms. What is the status of these sheets? Here are the instructions for sheet #32003. These should return from Cartograf any day now.